Horse breeding is a specialized activity: most horse owners only confront it when they decide to buy from a breeder or when they want to carry on the bloodlines of a favored stallion or mare. 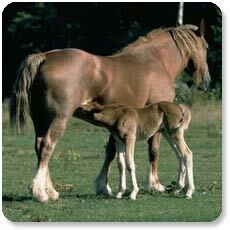 There's so much to know; from the basics of estrus, the actual breeding day or days, pregnancy and gestation to the particulars of producing an ideal foal by choosing the right pair of breeding animals. Equine breeding is also scientific: you can purchase reproductive material from a famous stallion or put your own superlative horse out to stud after serious genetic and physiological testing. You may decide to designate an especially worthy animal as a broodmare, selling or keeping the offspring to create a new line. Keeping animals healthy until foaling takes place requires another set of skills, supplies and a lot of information. Deciding to breed your horse means you'll want to evaluate his or her health and conformation as thoroughly as possible. You'll want resulting foals to be as healthy and well-formed as possible, and considering the parentage is key to getting a good foal. If you decide to go into breeding equines as a career or just want to get your horse in foal, you will require a lot of information and advice from experts. 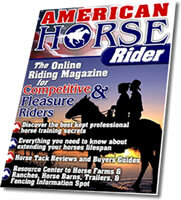 Start with the articles here, then move on to vets, breeders and other horse experts.